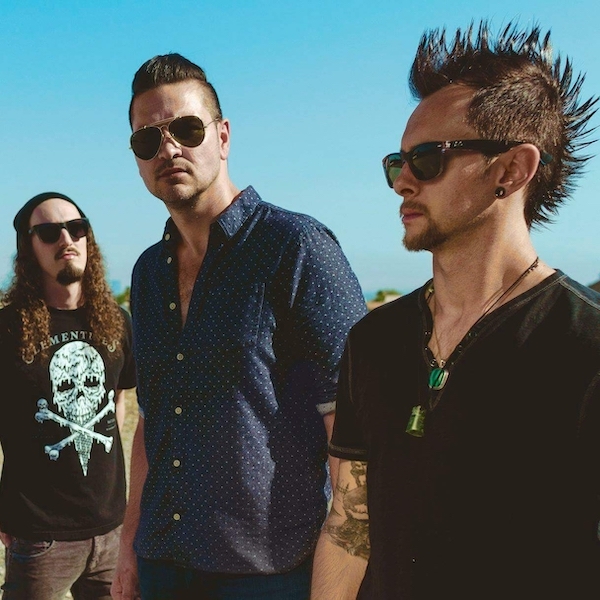 Adelitas Way is an American hard rock band formed in Las Vegas, Nevada, United States, in 2006. The band’s debut single “Invincible”, broke them into the mainstream scene after the song made numerous television appearances in commercials and live sporting events. As of 2017, the band has toured with notable acts such as Shinedown, Guns N’ Roses, Creed, Papa Roach, Godsmack, Theory of a Deadman, Seether, Three Days Grace, Breaking Benjamin, Deftones, Puddle of Mudd, Sick Puppies, Staind, Alter Bridge, Skillet, Halestorm, Thousand Foot Krutch and others. The band began working on their debut album in the fall of 2008. After inking with Virgin Records, Rick DeJesus, and drummer Trevor Stafford headed for Groovemaster Studios in Chicago, Illinois where producer Johnny K awaited their arrival. 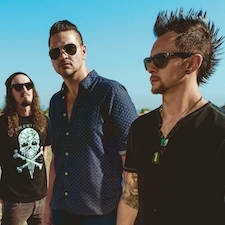 Before the band started touring in support of their new record, the band expanded with the additions of bassist Derek Johnston and additional guitarist, Keith Wallen, completing the original line up. On April 17, 2009 the band released their debut single “Invincible” which, became the official theme song for WWE Superstars on WGN America as well as being featured in the Smackdown vs. Raw 2010 video game, MTV as well as the CSI Miami Finale. They also wrote a song called “It’s A New Day” which was the theme song for WWE The Legacy from June 15, 2009 – September 13, 2010. This entry was posted	on Wednesday, February 27th, 2019 at 9:23 am	and is filed under Schedule, Uncategorized. You can follow any responses to this entry through the RSS 2.0 feed. Responses are currently closed, but you can trackback from your own site.